Great for Law enforcement or Spec-Ops. The Utility Pouch attaches to any Molle gear and is great for Cell Phones, PDAs, digital cameras, car keys, cigarettes, food and anything else you need on your mission that fits. Also includes molle loops on the outside to add other tactical accessories. First problem I've had with Condor gear - zipper was defective - pouch is useless. 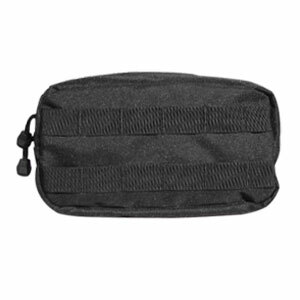 This pouch is a must have for a molle vest. It is nice and roomy. It holds anything you need to be held. BB's, kill rag, extra magazines etc.